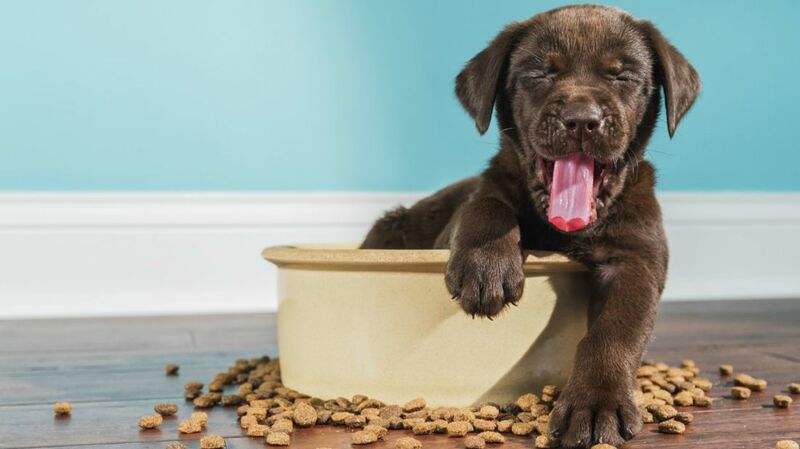 Although the well-worn sponge remains king of the germ colonies in an average kitchen, pet food bowls are giving them a run for their money, as Kitchn reports. According to public safety evaluators NSF International, pet bowls are among the filthiest surfaces in a home, harboring yeast, mold, and bacteria like E. coli. Yet most owners don’t wash them very often, mistakenly believing that dry foods don’t leave residue behind or that pets have a sturdy enough constitution to deal with the festering gunk. Of the 30 objects that were swabbed for the study of 22 homes, pet bowls won out as the fourth germiest, not far behind kitchen sponges and dish rags, kitchen sinks, and toothbrush holders. The problem, according to veterinarian Dr. Jessica Vogelsang, is that germs like salmonella that linger in food and water bowls can cause illness in both pets and their owners. This is particularly true for the immunocompromised and children. The bowls pose a health risk for everyone in the household, and the only way to mitigate it is with regular cleaning. Bowls should be cleaned with soapy water once daily and sanitized once a week. The latter includes soaking in bleach or running the bowls through high temperatures in a dishwasher. If you feed your pet a raw food diet, you might want to consider washing after each use or using disposable bowl liners that can be discarded after every meal. According to Dr. Vogelsang, dry kibble is usually run through high heat during manufacturing, but it’s no guarantee that all bacteria has been eliminated. You also want to stick with stainless steel or ceramic bowls, as cracks in plastic can harbor germs. While you’re at it, give food placemats a wash and your pet’s toys a good soak. Coupled with keeping your toilet lid down, the extra effort should minimize your pet’s exposure to bacteria that could make you both sick. Getting your dog to stop eating poop? That's another story.